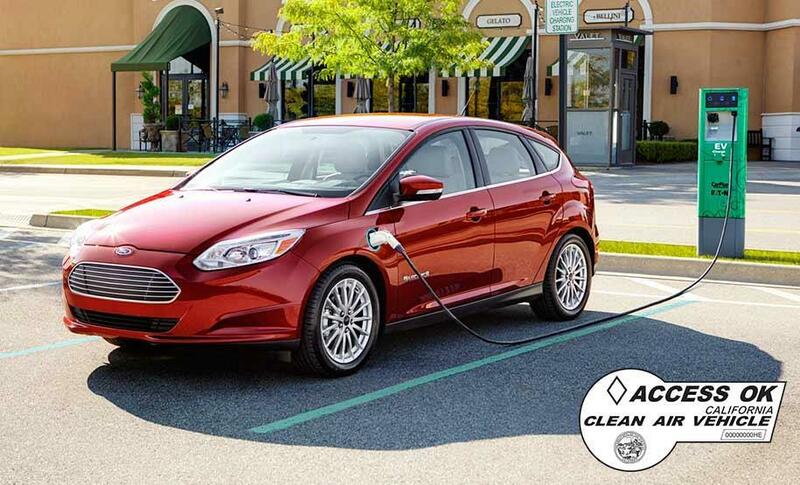 Ford’s Energi and electric vehicles are helping to positively change the way they impact the environment. That initiative has come full circle. Energi and electric vehicles can now give something important back to their drivers. Time. 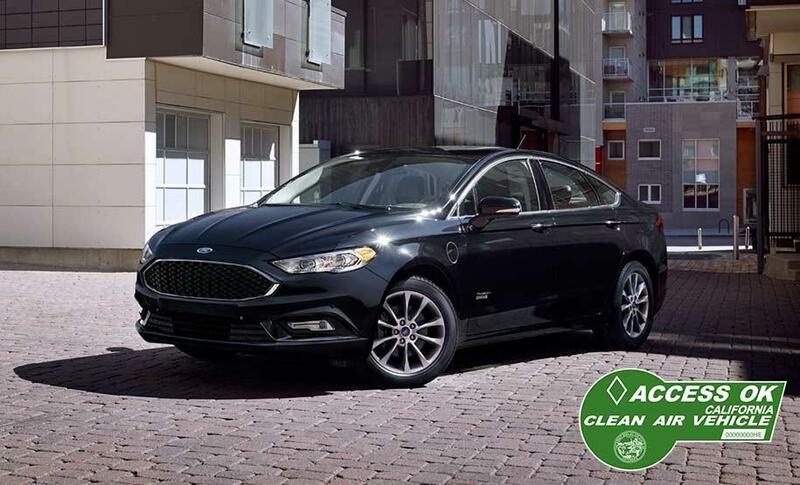 Fusion Energi and C-Max Energi, Ford’s Plug-In Hybrids, both qualify for California’s Green Sticker for the High Occupancy Vehicle (HOV) lane, even without additional passengers. Energi vehicles have lower emissions, great fuel efficiency,(1,2) and use sustainable materials that leave a smaller environmental footprint. While the all-electric Focus is eligible for the White Clean Air Sticker with zero CO2 emissions, and complete independence from fossil fuels. 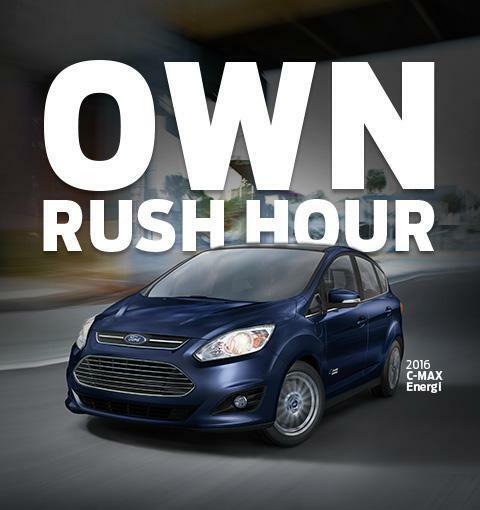 Efficiency should be tailored to you. Ford’s Plug-In Hybrid has SmartGauge® with EcoGuide that provides real-time power usage information, and a side display to indicate driving efficiency. Also standard is the EV mode button that allows you to use electric, gas, or a combination of both. 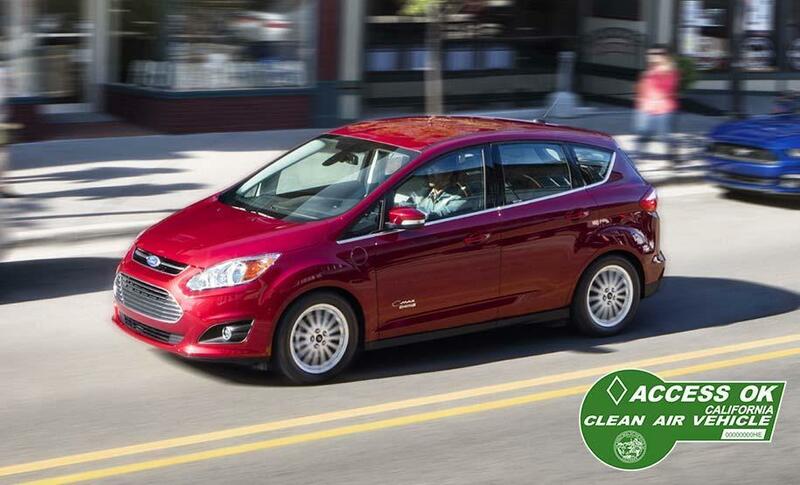 As a Plug-In Hybrid the 2016 C-Max Energi has an EPA-Est. 81 MPGe Highway. (2) It also features Intelligent Access, which lets you unlock your vehicle when its system detects your key is nearby, and an illuminated charge port that indicates your vehicle’s current charge. Forget the price of gas. Recover energy used when braking. Drive without producing harmful emissions. And recharge easily and conveniently at home. The perks of going electric are too great to ignore.